In summer 2003 I reviewed a CD-ROM entitled �BETWEEN EARTH and SKY: the HOUR OF MEDITATION and PRAYER�. This was an issue from Cantolopera being Volume VII of their �The Great Interactive Opera Encyclopaedia�. On that disc there were hours of involving content including a spoken and visual analysis of the characteristics of the baritone voice; other volumes in the series covered the other vocal registers. Each disc in the series allowed analysis of ones own vocality with the opportunity to sing arias with the music coming from speakers or headphones as the words and score passed in front of ones eyes on the VDU. 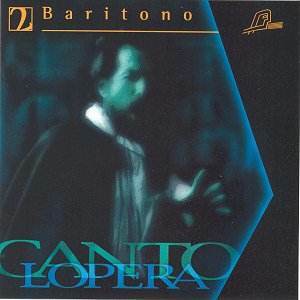 This new series from Cantolopera are straight CDs but their sub-title �to be Experienced as a Protagonist� gives the clue to their second purpose. Each disc of arias is sung by professional singers, backed by orchestra, and chorus when appropriate, in the usual way. These �model� tracks are then followed by the music and chorus alone, allowing the listener to try his/her talents and skills, with the backing of an orchestra rather than just a piano which is all that an accompanist, or répétiteur, would normally provide. The words, in the language of the aria, are given with an English translation. However, as no music script is given, as was the case on the ROMs, a vocal score is a must for the serious protagonist, particularly as the words provided do not indicate reprised phrases. There is also the complication that some arias are given in abbreviated performance versions that may differ from standard vocal scores. However, serious users of these discs, which are in no way �jokey karaoke� should have no difficulty in using them as intended as well as listening to the performances of professional singers. Given also that each disc has �fach� variations, such as lyric and dramatic etc arias, these CDs will help the user define their individual vocal strengths for themselves; not all potential singers have the benefits of a music college coach or a personal teacher. Each disc is a separate entity and can be purchased in that form. The baritone is the middle category of male voice. Several sub-divisions exist in opera houses but are seldom denoted by composers. The voice range lays between G, an octave and one half below middle C, to F, or even G, above. The �middle� of some baritone voices will be to the lower end of the range whilst for others the opposite will be true. In the Germanic repertoire sub-divisions are often made with �Spielbariton� (Don Giovanni), �Heldenbariton�, �Klavierbariton� and �Bass-Bariton� (Wotan, Sachs, and The Dutchman) being common. However, outside that repertoire, particularly in Italian Opera, no such divisions are generally made although Opera House �Intendants� might consider some baritone voices as being more suitable for Donizetti and the lyric Verdi roles (Germont pére in La Traviata and Rodrigo in Don Carlo) than for the composer�s heavier roles such as Rigoletto, Macbeth etc and those called for by Puccini and the �verismo� composers. The arias on these three discs focus on the mainstream Italian repertoire with a couple of notable exceptions, the first of which is the Toreador�s aria �Votre Toast� from Bizet�s �Carmen� (CD 1 tr. 1). Sung in French this is often taken by a singer whose �middle� lies in the lower part of the baritone range and, occasionally, by a �basso cantante� with a good top. The second example is Wolfram�s �Prayer to the Evening Star� from Wagner�s Tannhäuser (CD 1 tr. 7). 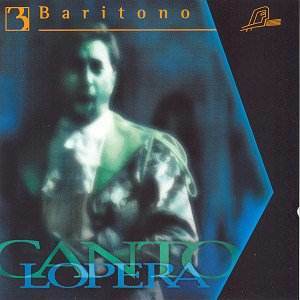 This aria, and that from �Don Pasquale� (CD 1 tr.2), are sung by Roberto Lovera without great distinction. Although his tone is steady his voice lacks variety of colour and there is little sense of characterisation. 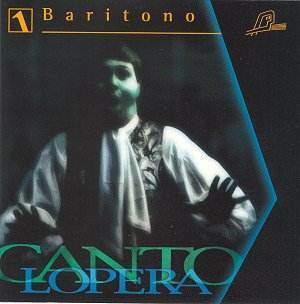 In this series devoted to the baritone voice only one other aria is not portrayed by Alberto Gazale. The exception is Dulcamara�s famous �Udite, udite, o rustici�. Although true baritones can sing the part it really belongs to the �character basso� division of the bass voice. It is well sung here (CD 2 tr.4) by Matteo Peirone, described in the biographical note as �Basso brillante�. Such flexible voices will often take the comic character parts in Rossini (and Gilbert and Sullivan) requiring fast �patter� of tongue twisters. Alberto Gazale takes the burden of the remaining wide variety of roles. An Italian, he has specialised in the Verdi repertoire and studied with Carlo Bergonzi. This will certainly have done much to develop his sense of Verdian style as well as an ability to hold the line whilst phrasing with some elegance, all of which skills are in evidence here. His well-covered and coloured tone is heard to good effect as �Rigoletto� (CD 1 tr.7 and CD 3 tr.6) and �Nabucco� (CD 1 tr.6). Although he has plenty of heft there are moments of unsteadiness when the voice is under pressure and he does not always sustain a perfect legato as in Carlo�s �Gran Dio� from �Ernani� (CD 3 tr.5), but these are minor limitations. Gazale is an excellent exemplar in this fach for any putative protagonist, and it is no surprise that my records show that since the time of this recording his career has taken him to the �Verona Festival� and �La Scala� under Muti! The conductor has a good feel for a Verdian phrase and is thoroughly at home in the rest of the Italian repertoire featured although he seems a little lost in the Wagner. The chorus are vibrant and wholly idiomatic. Whilst the recording is adequate there are differences in acoustic around the voices (dubbing?) which in any event are set a little far back. Listen to the virile vocalism in �Votre Toast� (CD 1 tr.1), �Cortigiani, vil raza dannata� when Rigoletto pleads with the courtiers to know the whereabouts of his daughter, (CD 2 tr.7) and Otello�s evil �credo� (CD 3 tr.7). These recordings in this innovative series are recommended for opera buffs as well as potential, or hopeful, opera singers.